Ciaran Hickey was born in Dublin, Ireland in 1965. After graduating from the Sligo College of Hotel and Catering in 1984 he started his apprenticeship in Ballincar House Hotel in Sligo, moving to The Westbury Hotel in Dublin in 1985. He was transferred to The Nova Park Hotel in Zurich in 1987 where he trained in mostly Continental, Classic French and Asian cuisine. He joined Four Seasons Hotel in London in 1988 and trained there in everything from Sushi to Classic French and Italian Cuisine for 3 years, while continuing his education at the Westminster College for Catering. He moved to Four Seasons Resort Nevis in 1991, staying 5 years there in various positions working mostly with North American Resort and Asian style cuisine. It was in this creative environment that a lot of his culinary style was developed. The resort was awarded the AAA Five Diamond Award in 1995, the only one outside the continental United States. Conde Nast Traveler voted it number one Hotel destination in the world in 1995. In 1996 he took his career to The Pierre Hotel in New York City (a Four Seasons Hotel), as Chef of the Café Pierre Restaurant. Having access to such a huge pool of culinary talent in the City helped refine his tastes and creative direction. Hickey transferred to Four Seasons Hotel Istanbul as the Executive Chef in 1999 where he enjoyed mixing the wonderful Turkish Mediterranean cuisine with Asian and European influences. This gave rise to a wonderful mix of contemporary food styles with taste and presentation elements from the Far East. During his time there the Hotel was voted number one hotel in Europe and number three Hotel worldwide by Conde Nast Traveler. Zagat Guide voted his restaurant number one for food in Turkey and Time Out Magazine Istanbul (Readers Poll) voted him Chef of the Year. 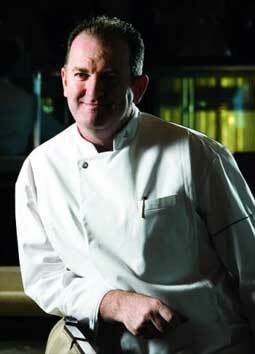 In July 2003 Hickey was transferred to The Four Seasons Hotel Great Exuma, Bahamas, as Executive Chef, where both authentic Italian and Resort Cuisine were the main themes of the menus. In 2005 he returned home and was executive Chef at the Radisson St Helens Hotel in Dublin overseeing its two restaurants and catering operations. From September 2007 he has been Director of Cuisine at W Seoul-Walkerhill, where he has brought his experience to the hotels two signature restaurants, 'Namu' and 'Kitchen'. During his time there, The Korea Herald awarded 'Namu' contemporary Japanese restaurant with the "Best Japanese Restaurant in Seoul" award for 2010. 'Kitchen' restaurant was awarded third place in the "top 5 restaurants in Korea" by the Miele Restaurant Guide 2010.